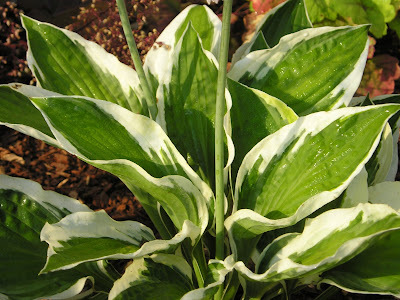 When most people, including myself, think of hostas they imagine a beautiful dark green to light green foliage plant with variegation. 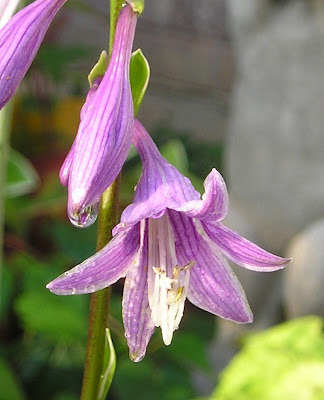 It's too bad that the flowers are often taken for granted since they really are quite showy! The show starts with this little pineapple-like bud. 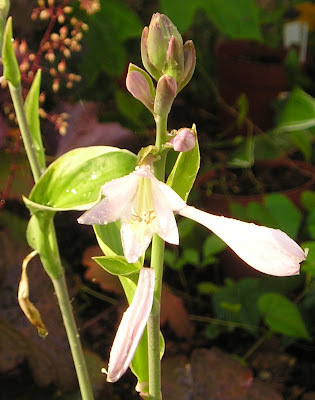 The tightly bound buds eventually open to reveal a flower with six petals that rises high above the hosta like a flag on the fourth of July. 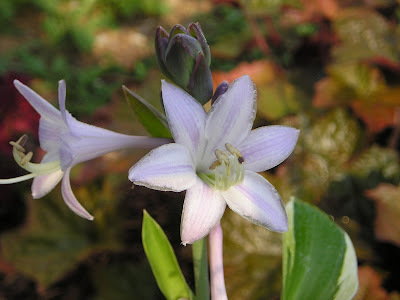 The flowers on our hostas in the corner shade garden range from almost white with a shade of purple on the 'Patriot' Hostas (Hosta fortunei 'Patriot') to a deep purple on the 'Ginko Craig' (Hosta sieboldi). 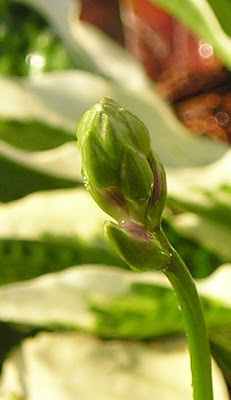 Hostas generally like full to light shade. Even though they are prized for their foliage I wonder if anyone has tried to breed them for its flower color or size. I'm really impressed with the flowers on the 'Ginko Craig'. 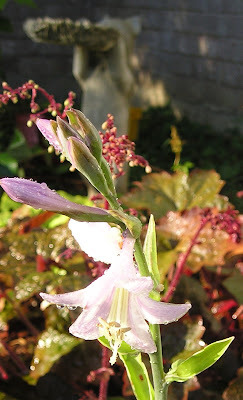 The dark rich purple color is very striking amongst the green and white variegated foliage. The flowers seem to add an exclamation point to the shade garden.